Recently I encountered a few health problems and this, combined with my boyfriend's new-found love for crossfit, has seen the two of us slowly adapt to following a Paleo lifestyle (for more information on Paleo scroll to the bottom of this post).So it was with much excitement that we waited for The Paleo Cafe to open up in Brisbane last month (we had visited the Cairns location earlier in the year and simply loved it). Our anticipation for lifestyle-friendly food reached fever pitch when I clocked the new cafe - with its signature orange and white decor - opening just down the road from us at Paddington (look out for a few new franchises set to open up around Brisbane in coming months). The week it opened I went twice in two days and I'm happy to admit I was one of the many people lining up again last weekend for a table. The food is simple but delicious! 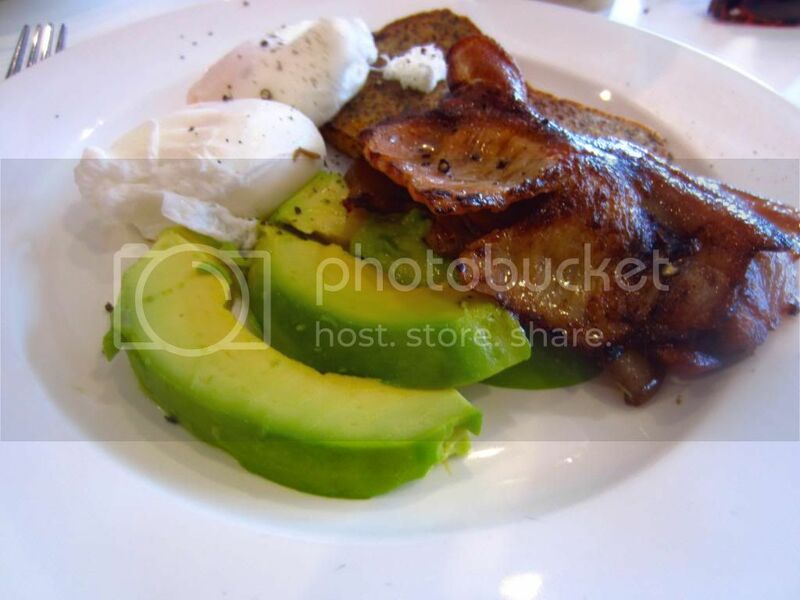 - Eggs and Avocado on Paleo Toast with the addition of nitrate free bacon - this was yummmmmy! Completely no fuss but still full of flavour - and the bacon tastes amazing and contains no harmful additives or preservatives. Win! - Pistachio & Coconut Crusted Ocean Fish served with seasonal greens - this meal was delicious. I absolutely adored it and will definitely be going back again and re-ordering it. It was a great size for lunch and the combination of pistachio and coconut was really light and complimented the fish perfectly. - Seared Tasmanian Salmon served with sweet potato and pumpkin mash, grilled asparagus spears and caper and lemon ghee. I can confirm the salmon was excellent, but perhaps not as amazing as my ocean fish. Drinks wise I've tried the Breakfast smoothie, the Acai smoothie, an iced coffee and some chocolate banana smoothie thing - all non dairy and all very, very delicious. 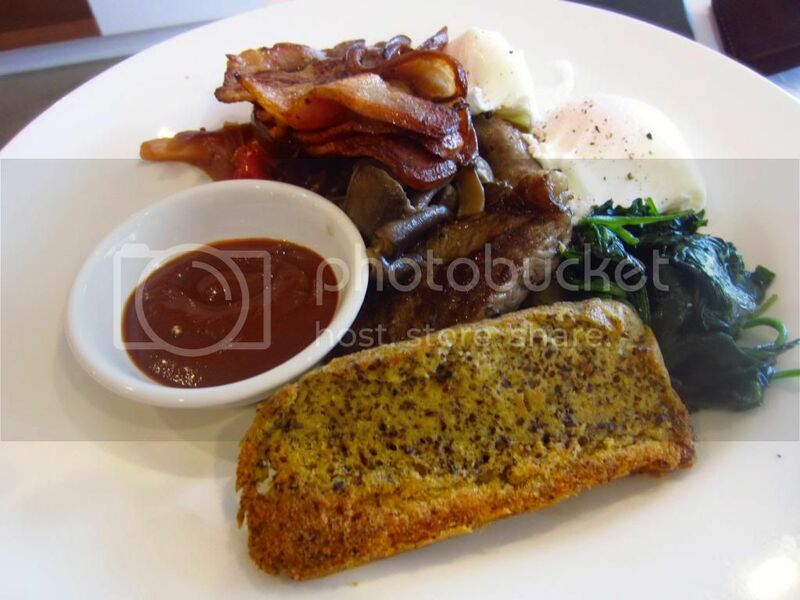 Overall, I can safely say that The Paleo Cafe has already become my new local favourite and I am positive that I'll keep it in business for years to come. It is perfect for anyone with food intolerances (hello all you non-gluten and non-dairy warriors) and also for those who just love good grub.